Have you been looking for the best down jackets for women? We’ve got you covered. As much as we hate to admit it, summer’s wrapping up fast. For travelers, that means it’s time to get ahead of the game and start investing in fall clothes and gear. Whether you’re traveling to Europe in the fall or hiking in the Canadian Rockies, there’s one thing you’ll need. That’s a good jacket. The best down jackets for women offer protection from the elements and comfort you can wear all day. We’ve taken the guesswork out out of it for you and scoped out the top-selling, best-quality jackets on the market. Down Jackets vs. Regular Jackets: What's the Difference? There are so many jackets on the market for travelers. But when you're facing the elements, you're going to want something a little more durable. Down jackets offer something that regular jackets don't - insulation. Down is warmer and it compresses better than a regular jacket. A lot of down jackets can be taken off and rolled up into a small pack for easy compression. 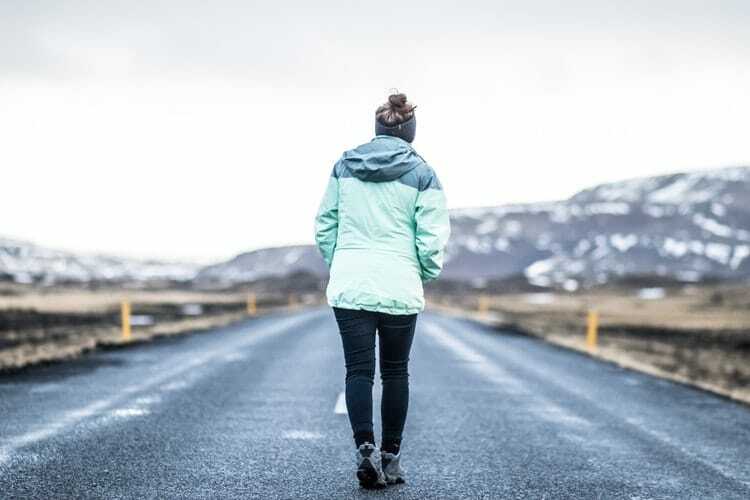 Knowing your budget will be key to finding the best down jackets for women. Whether you are looking for an affordable lightweight one or a heavy duty style, you'll find it here. We suggest approaching this list with a price limit in mind. 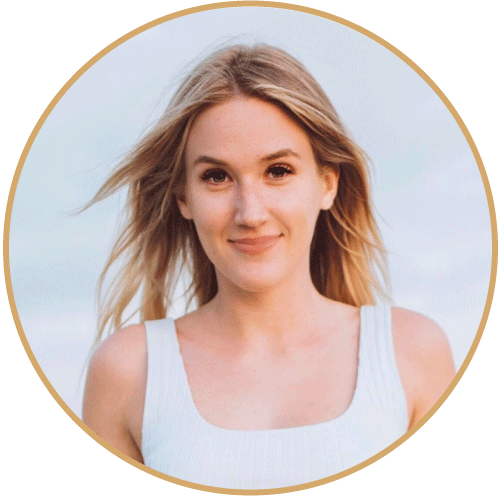 That way, you will be able to knock off all the items that are out of your price range much faster and, subsequently, locate your perfect gift that much faster as well. Who knew that Amazon carries their own brand of jackets? We sure didn’t until we tested out this little beauty. For a price of $40-$59, you just can’t beat it. To our pleasant surprise, the jacket checked the boxes for quality too. Amazon’s clothing motto is “basics made better” and we couldn’t agree more. Contoured seams bring a fitted shape to an otherwise bulky-style fall jacket. A water-resistant fabric offers protection from the elements while the quilted hood and down fill bring both warmth and compressibility. Consistent sizing takes the guessing out of shopping and each piece is put to the test by users for both quality and comfort. If you’re looking for a lightweight jacket to keep out the cold breeze and a little rain, this jacket will do the job. 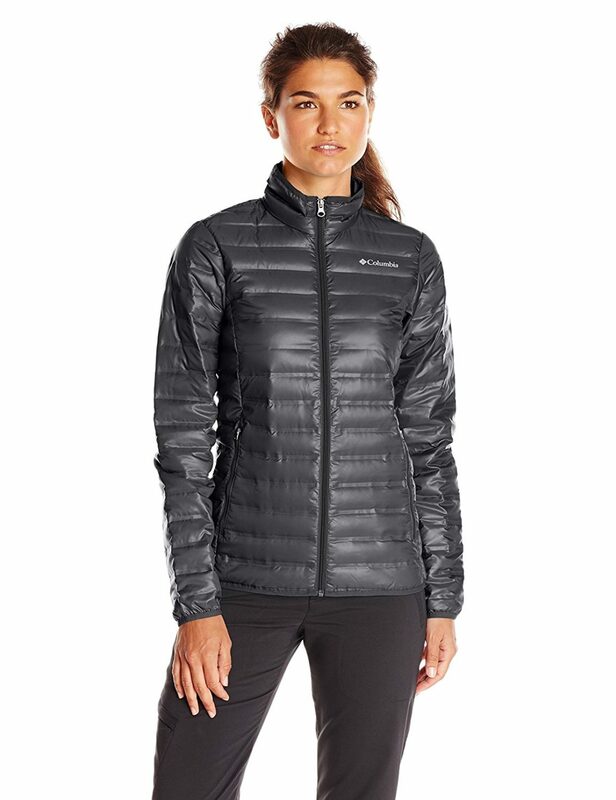 For the price, we can’t deny it’s one of the best down jackets for women. Don’t wait for a sale when everything is picked over. You deserve a high-quality chic coat for your travels. 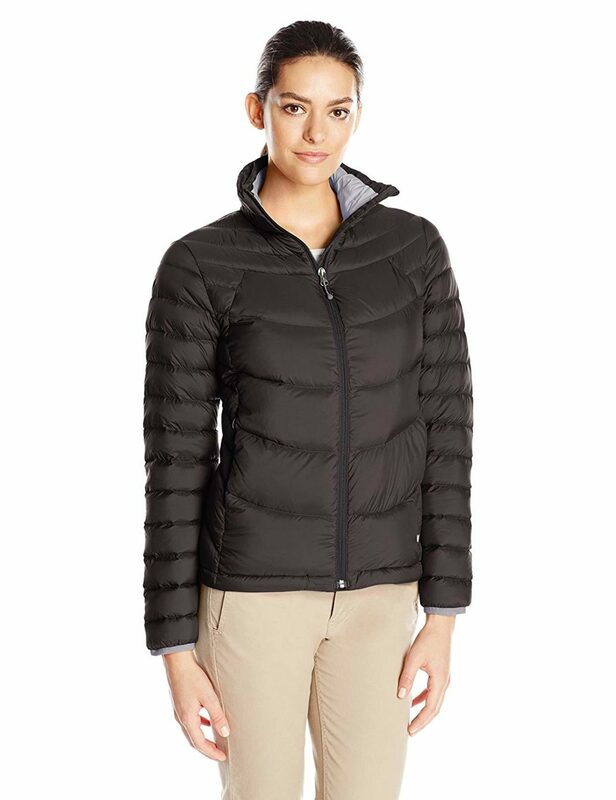 The Haven Outerwear Mid-Length Puffer is one of the best down jackets for women. Haven is an innovative brand on the market, offering the style and quality you want at an incredible price. Every style, color, and size you could want is under $100 all season long. You don’t have to break the bank to get the quality you need. Built with weather-ready features you’re sure to love, their signature jackets offer just what you need to brave the cold. You’ll find so many favorites, you just might need a bigger coat closet. The down collection blocks out the cold with smart designs. First, it offers variable warmth. Choose from three different weights - light, mid, and heavy to keep you comfortable all season long. Second, it offers great wind resistance. Special wide zipper plackets and detachable hoods near the face give great protection from the elements. Thermal details include microfleece-lined pockets, storm cuffs, and a faux fur trim to keep you extra cozy. Packable and lightweight, this mid-length jacket is filled with down feathers for the ultimate loft and warmth. It features flattering chevron quilting and silver-tone zipper pockets on the front for an elevated look. It can be layered as an outer shell or worn on its own. This lightweight packable jacket is made with 85/15 down fill for layer-ready warmth. An internal zipper guard keeps the warmth in while an included bag provides effortless on-the-go storage. If you’re looking for one of the best down jackets for women, you’ve found it here. When the weather turns chilly, this lightweight, packable 650 fill-power down jacket from the brand Columbia will help keep you warm and snug. Heat Seal ''no-sew'' bonded baffles reduces water penetration and keeps down from migrating, giving it a modern, sleek and streamlined aesthetic. Perfect for mild winter conditions or as a layering piece on colder days. This active fit jacket made of 100% polyester feature Heat Seal technology eliminates baffled stitches, so the down stays in and the cold stays out, water resistant fabric, 650 fill power down insulation, zippered hand pockets and binding at cuffs. Stay warm when the weather gets cold. Marmot offers the best down jackets for women. With 600 fill power down with down defender technology, the Aruna down puffer jacket is made to last. It’ll keep you warm and comfy in chilly, damp environments. Zippered hand warmer pockets and elastic-bound cuffs and hem help to seal out cold air and maintain a secure fit while you're in motion. So what does 600 fill power down mean? It’s a little confusing but all in all, this garment's fill power rating of 600 means its down displaces 600 cubic inches per ounce. This translates to warmth, durability, and minimal weight. While traditional down loses its insulation properties when wet, the down defender doesn’t. Instead, it’s moisture-resistant treatment, prevents clumping, preserves loft, and maximizes your comfort. When it comes to heat retention, the down defender is key. Other features like the elastic cuffs and hem help to retain heat too with a secure fit. Zippered hand warmer pockets provide storage for accessories and extra comfort for frigid fingers. Rokka & Rolla guarantees quality-certified down. The Ultra Lightweight Packable Puffer Down Jacket comes in six different colors. We love that it offers the best windproof fabric with high-tech workmanship. With only 2-layer shell to hold the down filler, it will not only keep you warm but it’s also super lightweight. That’s what makes it one of the best down jackets for women. Premium quality duck down feather maintains high thermal performance in both cold and wet conditions. So many features go into keeping you warm and comfortable. 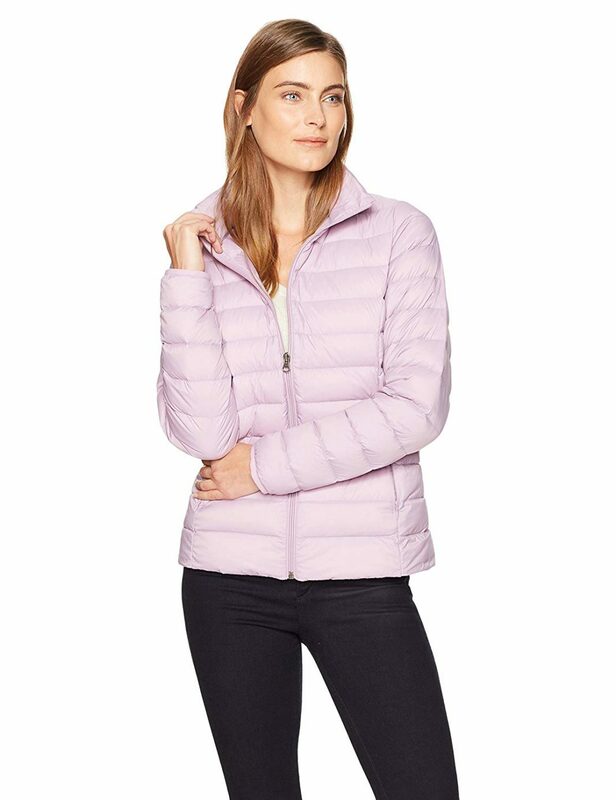 The quilted fabric, standing collar, seam-zippered pockets, and elastic cuffs all offer great insulation. A low profile quilt pattern can trap heat for extra warmth. You’ll also find a packable pouch for convenience. 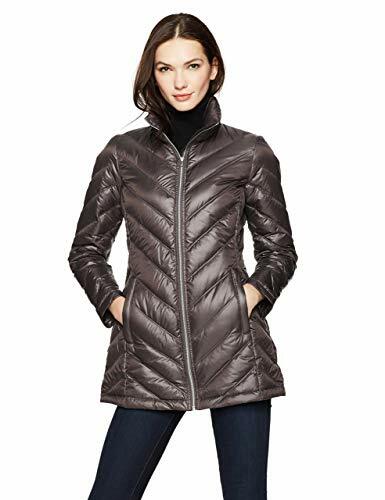 Extra Warmth - Quilted winter jacket for women featuring standing collar with front zipper closure, on-seam zippered pockets and comfortable elastic cuffs which can keep hands warm; Low profile quilt pattern can create heat trapping down channels for extra warmth. Premium fabric & down - Windproof fabric with high-tech workmanship with only 2-layer shell to hold down filler for extremely lightweight (Shell color of Poppy Red and Insignia are cire finishing so it looks a little shining); Premium quality duck down/feather maintains high thermal performance in cold and wet conditions. Perfect puffer jacket for women. Packable - Ultra light and soft down jacket for women could be converted into color matched travel neck pillow with packable pouch accessed through collar. Skin friendly - Unique technology of high density synthetic and finer yarns to make down jacket extremely light and soft, breathable and very comfortable to wear at various occasions such as business work, school, party, climbing, hiking, camping, skating, skiing, snowboarding and other outdoor activities in fall & winter. It is very compact. Can fit inside jacket pockets, purses, backpacks, etc. Takes up little space when not filled with water. Be prepared for the cold. While most long down jackets make you look like a puffy snowman, this one is surprisingly flattering. Better yet, it will keep you warm and protected. Battle arctic air with 600-fill-power goose down-which is super warm/soft and packable and our patented thermal-reflective technology-which reflects your body heat for warmth while maintaining a high level of breathability. The water-resistant shell fabric has a lovely sheen and the quilted pattern goes from larger on the shoulders and hem to smaller at the waistline for a figure-flattering effect. 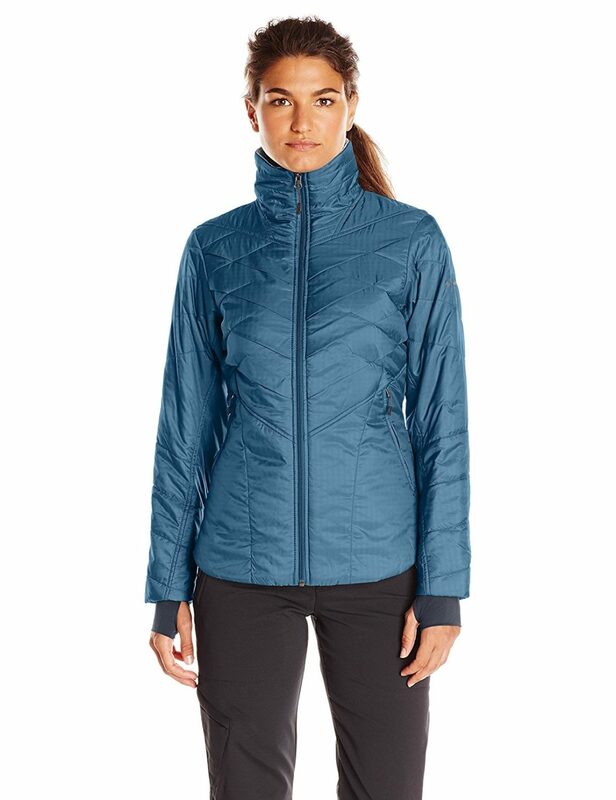 The Columbia Hexbreaker is easily one of the best down jackets for women. 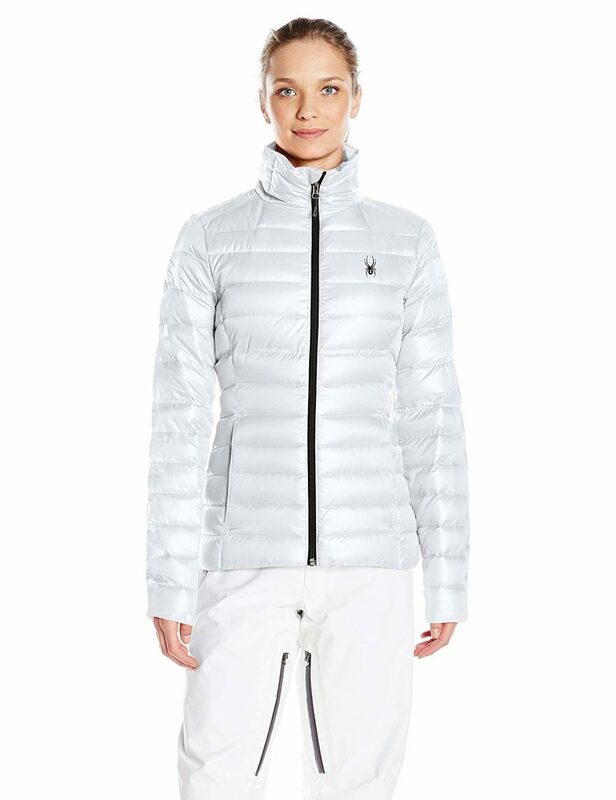 This is one of the best down jackets for women. The Spyder Prymo jacket has a rain-repelling fabric to keep you dry and 550 fill power down to keep you warm. Whatever the weather’s like, you can come prepared. Tiny, lightweight fibers help the jacket to be compressible and efficiently retain body heat. Down is rated in power fill. Here’s how it works. The higher the down number, the greater the quality. Better quality means more warmth. Spyder's hydrophobic finish repels both rain and snow and decreases drying time, so you can stay outside longer. A reverse coil center front zipper, microfiber-lined neck and zippered hand pockets offer added comfort. Combine Omni-Shield advanced Repellency, Omni-Heat thermal reflective and 550 fill power down insulation and what do you get? 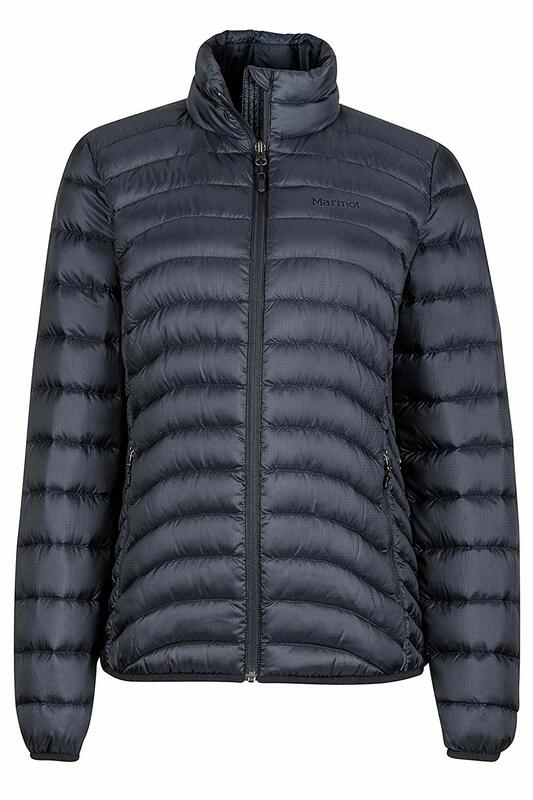 The result is the fantastic Columbia Women’s Lay D Down Jacket. All the qualities make this jacket super toasty to keep you warm in cold weather; feminine design lines and buttery soft sateen fabric mean it's also perfect for everyday wear. This product is made with 100% responsibly sourced down. We are committed to ensuring the highest industry animal welfare guidelines. White Sierra knows that not everyone who loves the outdoors is going to climb a glacier or kayak through rapids. Their outdoor apparel fits your version of the outdoors. Whether you’re hiking with friends, traveling somewhere colder for the fall or winter, or just playing frisbee in the park with your dog. 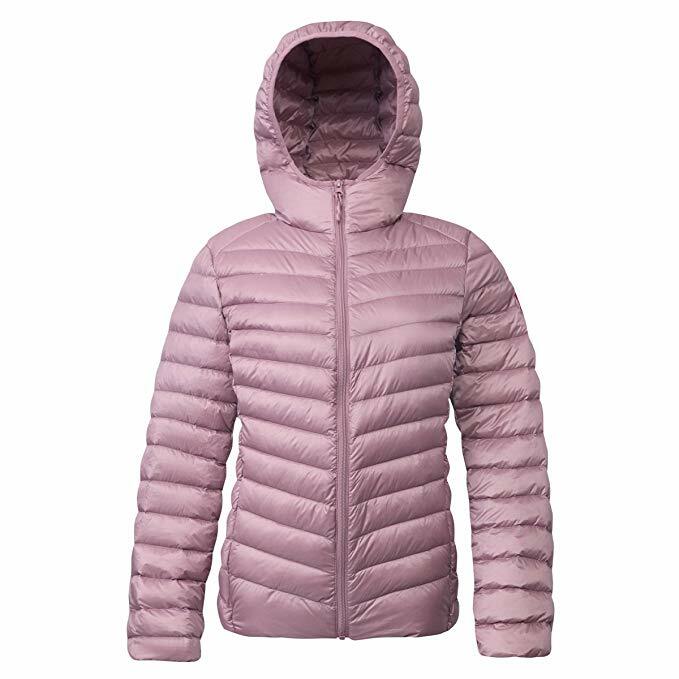 White Sierra’s Summit style is one of the best down jackets for women. So what makes this jacket so great? Lightweight insulation comes in the form of 80% down and 20% feather insulation. A soft, silky material increases both comfort and mobility. In addition, the coated fabric repels water and prevents leakage.Zippered pockets keep your valuables safe and provide easy access for items like your cell phone and keys. Are you looking for a longer coat that offers more coverage? This warm jacket is padded with an innovative material that's as warm as down and super light. It features a compact silhouette for a feminine look, and it's thin and lightweight enough to wear under another layer. Zip closure, hood and a raglan-sleeve design combine to create sporty style. Even though this coat offers great insulation, it won’t make you lose your shape. 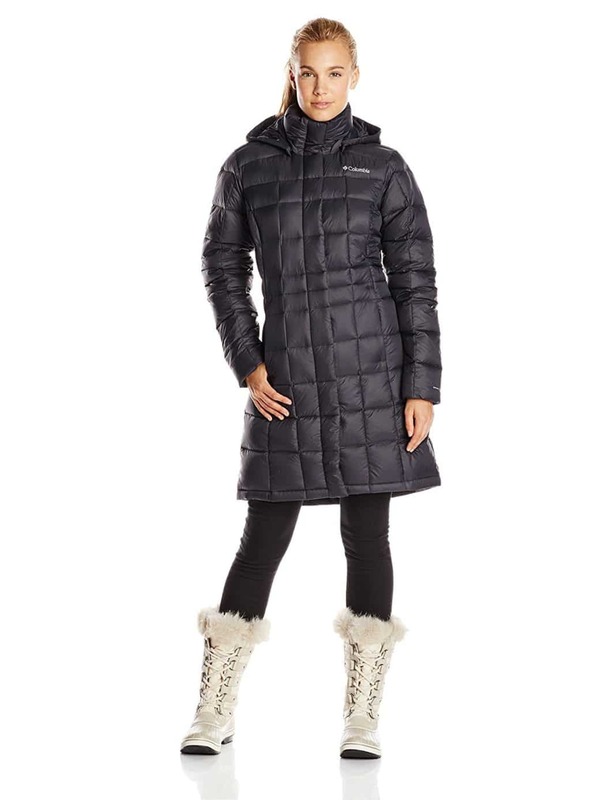 This down jacket has contoured quilting around the waist for a flattering fit. Stretchy tap inside the cuffs and hem help seal out cold air. In addition to style, a unique fabric design can well block the wind, makes you warmer in the cold weather. When you’re ready to take it off, it’s packable for easy storage. The jacket packs down into an included pouch for easy travel, suitable for any tourists, short or long. It’s also easy to carry, being thin and lightweight. Attached hood, Zip opening, Side pockets, great for keys, phone, etc. The Columbia Kaleidaslope II Jacket helps maintain warmth and prevent heat loss while keeping you comfortable in cold weather. Featuring omni-heat thermal reflective and insulation, it’s made to keep you warm and comfortable. Perhaps even better, the fabric resists light rain and stains. 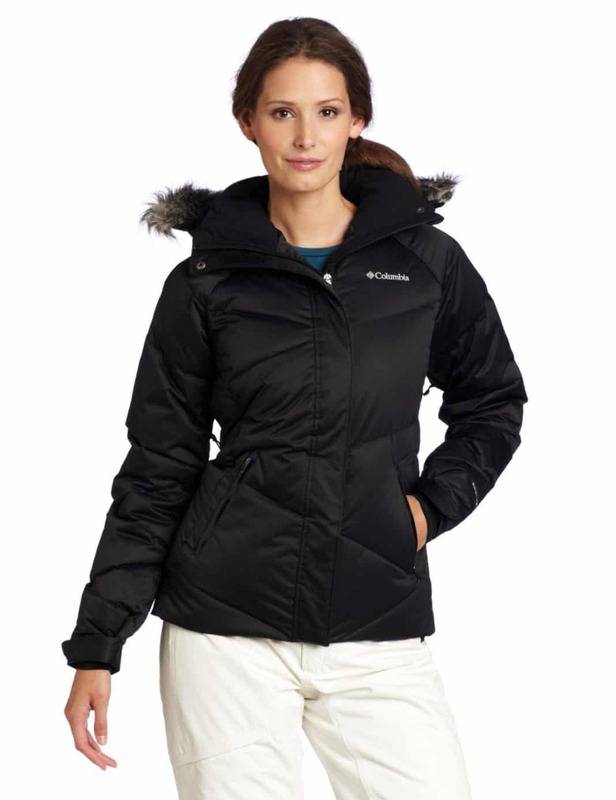 This is one of the best down jackets for women for cool fall temperatures. 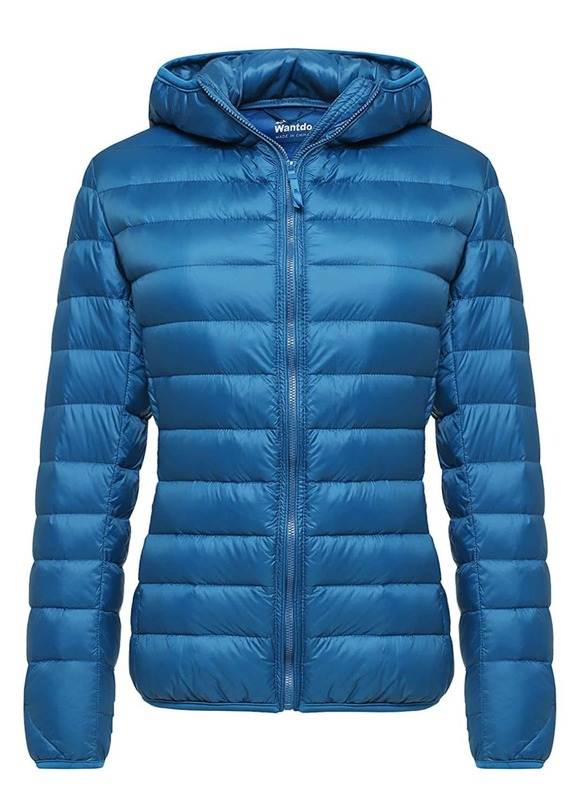 We hope you enjoyed reading our feature on the best down jackets for women. Whatever your activity level, style, and budget, there is something on this list for all tastes. The jackets we included not only are sold at a great price point but are also made with the highest quality. The fall months are coming fast and you’re going to need a good quality coat for all your adventures to come! Do you have any questions or comments for us? If so, we would love to hear them. Feel free to leave a message for us below. We will be sure to get back with you soon.